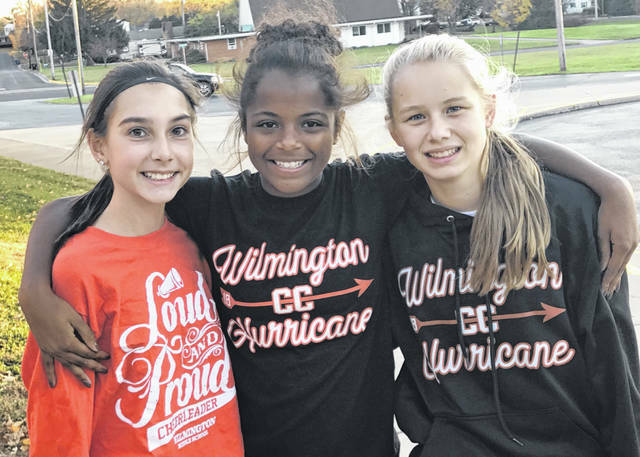 Helping out at the “Girls on the Run” practice 5K run were Wilmington Middle School cross-country runners Addy Smith, Taliah Billingsley and Sophie Huffman, pictured. 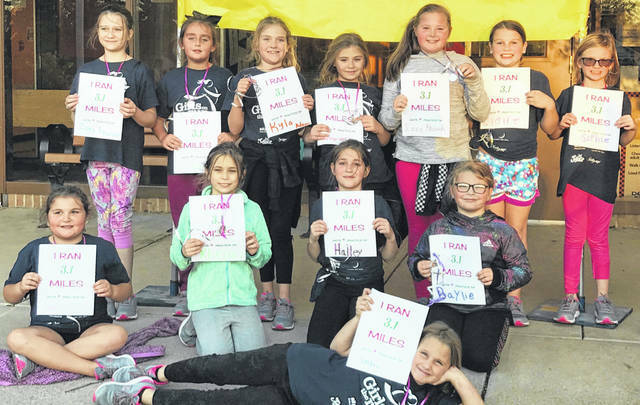 They joined the event in order to be running buddies for the elementary-level girls who comprise the “Girls on the Run” team. “We had cross-country members and cheerleaders present to help,” said team coach Brandy Smith. Members of the Denver Place Elementary School’s “Girls on the Run” 10-week after-school program participated in a practice 5K run this month, and afterward gathered for this photograph. The signs they’re holding indicate they ran 3.1 miles. Team members are Claire Connor, Madison Owens, Bailey Nicely, Kassie Wisecup, Kendall Beus, Laila Salisbury, Kyla Adams, Izzy Rhoads, Zoey Fawcett, Hailey Brock, Caydee Copas and Sophie Harris.